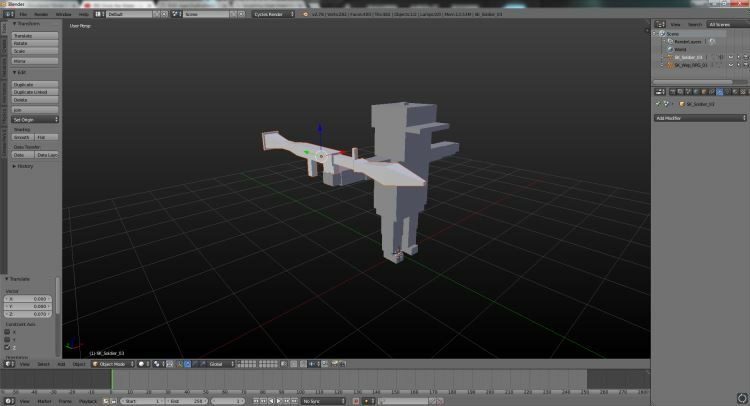 Attached RPG model to soldier 3. Removed armature that was there. scaled the model .01 down then rotated on X axis 90 degrees.